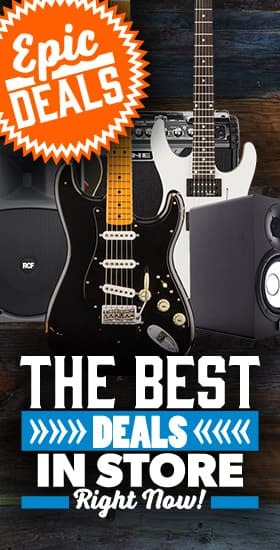 Two Notes - Andertons Music Co.
Two Notes are the industry-leaders when it comes to guitar cabinet emulation and guitar cab impulse responses. Their range of studio-grade products are essential for any professional guitarist. Two notes have hit that perfect balance between high-quality audio engineering and practical guitar nerd gear. They’ve pioneered a new way of thinking when it comes to recording the guitar and this has spilled over into the way guitar players approach their live rig too! Without being too vague about it, Two Notes have re-designed the way we think about guitar cabinets and recording or mic’ing these cabinets up by not using a cab or a microphone at all! Two Notes Audio Engineering are a French company that are relative newcomers to the Music Industry. Since 2008 their digital loadboxes, speaker simulators and computer-aided music software has made some serious waves in the music industry. After a few years of R&D and working on early iterations of their cab emulation technology, they announced the Torpedo Live and proceeded to overtake the guitar world with rave reviews. Since then, the company has grown from strength to strength and they continue to advance in new and exciting ways to record your guitar – like the Le Preamp series which allows you to get of your guitar amp altogether! Famous users include the likes of Tosin Abasi (Animals As Leaders), Devin Townsend, Steve Stevens (Billy Idol), Joey Landreth and our very own Rabea Massaad from our Andertons TV YouTube Channel. The Two notes range is vast and each product will suit a different application but there are some Two Notes products worth knowing about. The Torpedo Live is a rackmountable digital unit that takes your signal from your beloved valve amp head and runs the signal through an emulated cabinet impulse response to give you a phenomenal recorded sound. You can change, adjust and deep edit different cabinets and speaker types and tweak until you find the perfect sound. The Cabinet used with a valve head makes a huge difference to your sound and if you don’t want to go down the multi-effects or modelling amp route, then the Torpedo Live will allow you use your current analogue setup with ease. The Two notes cab is simply a pedal sized guitar cabinet in a box. This little pedal is made to give you cab sounds without taking up too much real estate on your pedalboard. The Lepramp range uses a little valve on-board a pedal sized capsule that has both preamp and cabinet technology on-board. What this means is that you can have one of these at the end of your pedalboard and get rid of your amp altogether. The preamp provides your ‘amp’ sound and the cab emulation does the rest. It sounds great with pedals and also allows you to record effortlessly by plugging directly into the recording interface.